Here is Top 11-20 of our Best Staycation Hotels in Metro Manila for 2017 list. It includes some of our favorite hotels for staycation and some of the newly opened properties. 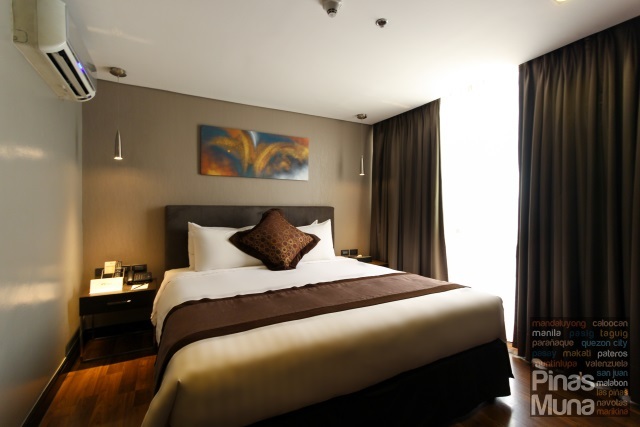 This newly renovated luxury serviced residence is located next to the Glorietta shopping mall in Ayala Center, Makati. It has a total of 362 luxurious serviced apartments with fully furnished kitchens and other residential amenities. Overnight stay includes complimentary buffet breakfast for two at Myron's. Guests also enjoy free WiFi internet, access to the pool and gym, there's also a spa and a children's playroom. 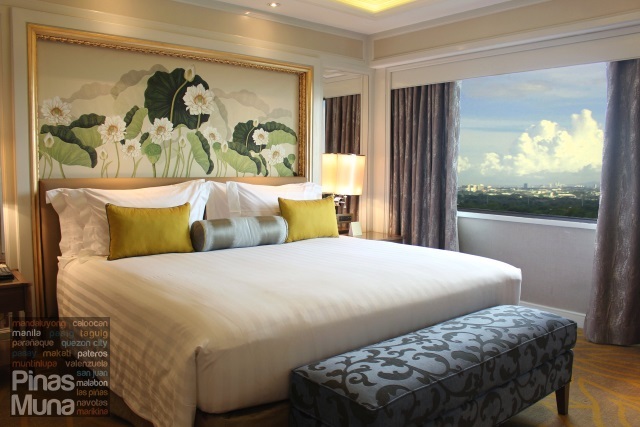 This luxury hotel has 537 guest rooms and suites, experience Thai elegance at the newly renovated Premier rooms and suites. Overnight stay includes buffet breakfast for two at The Pantry, free in-room Wi-Fi internet, access to the swimming pool and gym. One of the highlights of your stay is a relaxing massage at the Deravana Spa. This serviced residence has 433 guest rooms and suites with fully furnished kitchen. Overnight stay includes continental buffet breakfast for two at Alfred, guests also enjoy free in-room Wi-Fi internet, access to the indoor lap pool and gym. It is conveniently located along Legazpi Street across Greenbelt 3 Shopping Center, various restaurants are also located within the area. 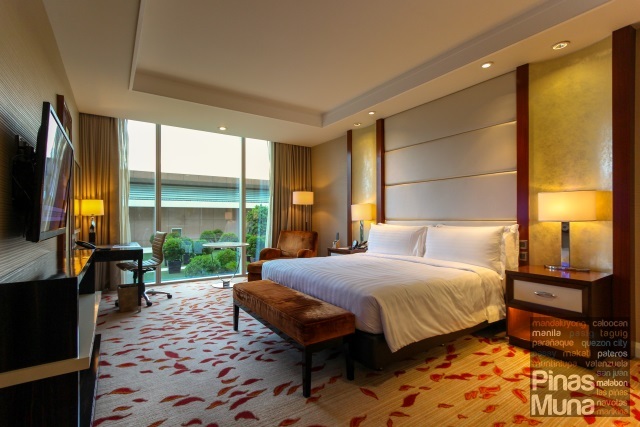 This integrated hotel and casino boasts of 800 luxurious resort-style guestrooms and suites. Overnight stay includes buffet breakfast for two at Fresh, guests also enjoy free in-room WiFi internet, access to the swimming pool and gym, other amenities include the spa and a shooting range. The property also houses various restaurants and retail outlets, and a state-of-the-art theater. The Grande Dame of Manila, this luxury hotel first opened in 1912 along the picturesque Manila Bay. It is located near museums, parks and historical landmarks, and boasts of 500 luxurious rooms and suites. Overnight stay includes a superb buffet breakfast for two at Cafe Ilang-Ilang, as well as free WiFi internet, access to the swimming pool and gym. This luxury serviced residence has 230 fully furnished, move-in ready studios and suites. Overnight stay includes buffet breakfast for two at Nostalgia Dining Lounge, as well as complimentary in-room Wi-Fi internet, and access to the heated indoor swimming pool and gym. The property is situated right across the Asian Development Bank and within a short walking distance to shopping malls and restaurants. This luxury hotel features 236 guest rooms and suites with 24 hours butler service. 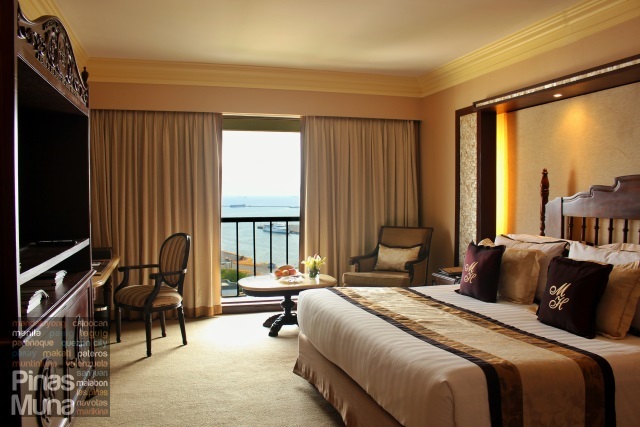 Overnight stay includes buffet breakfast for two at the Pacific Lounge where guests can enjoy a spectacular view of Manila Bay. Guests also enjoy free in-room Wi-Fi internet, as well as access to the swimming pool and gym. 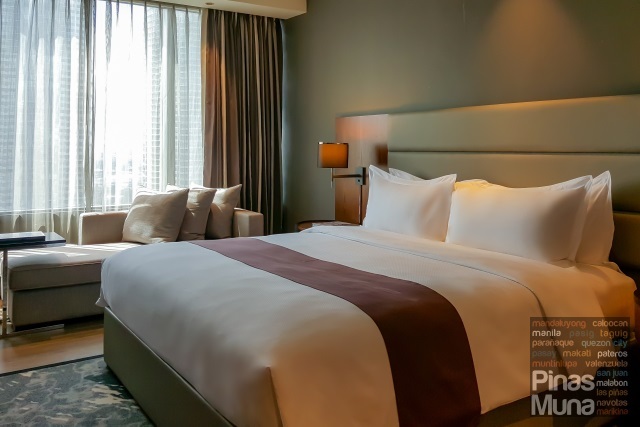 The hotel is located near Robinsons Place Manila, one of the largest malls in the city of Manila, and Remedios Circle, a popular dining district. 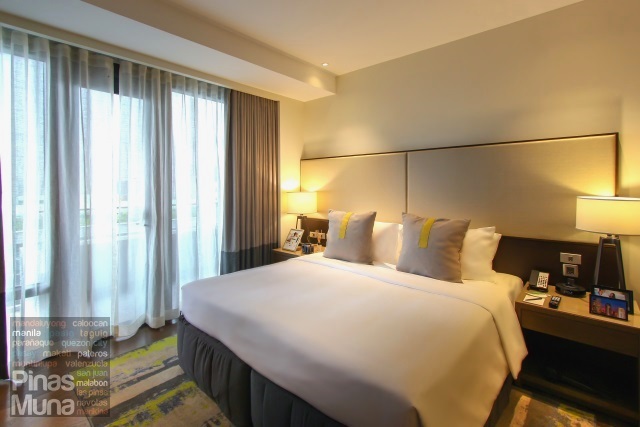 This newly opened mid-range serviced residence features studios, one-, to- and three-bedroom apartments with fully furnished kitchens and home entertainment systems. Overnight stay includes buffet breakfast at Cafe Madrigal, as well as free in-room WiFi internet, access to the swimming pool and gym. There's also a children's play area. 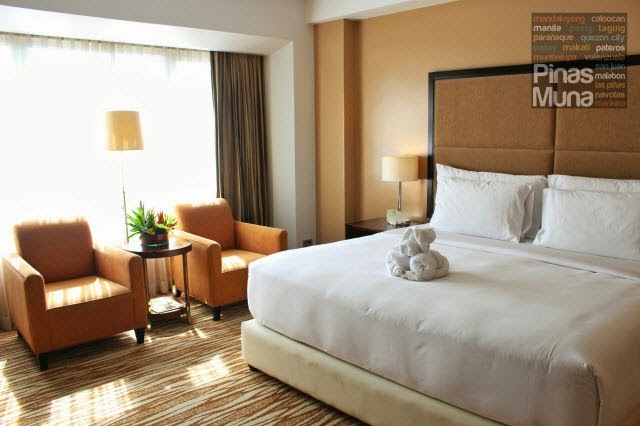 This luxury hotel has 261 guestrooms and suites with Filipino inspired design matched with excellent customer service. Overnight stay includes buffet breakfast for two at Acaci. Guests also enjoy free WiFi internet and access to the swimming pool and gym. The hotel is located near restaurants and retail outlets. 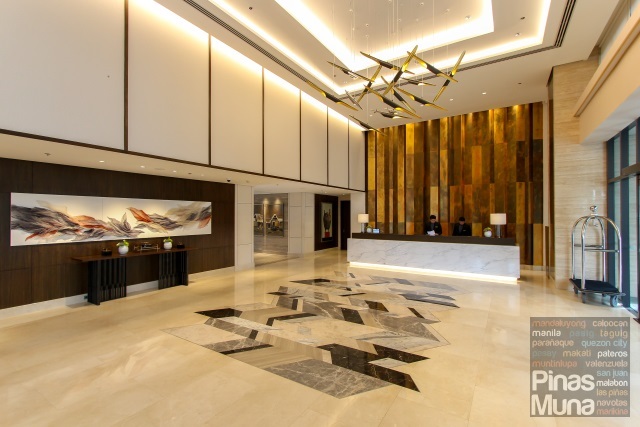 This mid-range hotel has 243 guest rooms and suites, located near Bonifacio High Street and other retail and dining outlets. Overnight stay includes buffet breakfast for two at F All Day Dining, plus free in-room Wi-Fi internet and access to the swimming pool. The hotel also has an in-house spa. More hotels will be added, so make sure you bookmark this link. If you recommend a hotel that should be included in our list, please do send us an email at pinasmuna@gmail.com.